MILWAUKEE, Feb. 19, 2019 /PRNewswire/ -- ManpowerGroup (NYSE: MAN) joins the biggest names in tech as Gold HR partner of the world-famous Viva Technology conference taking place in Paris, France, May 16-18, 2019. ManpowerGroup together with top tech companies and fellow Gold partners including Amazon Web Services, Cisco and Hewlett Packard Enterprise will be supporting start-ups, helping accelerate tech adoption and finding solutions that drive digital transformation. VivaTech is now a leading global tech event bringing together business leaders, politicians, start-ups and innovators with over 100,000 attendees in 2018. The event is set to be bigger and better than previous years with more attendees, more start-ups and more innovations. ManpowerGroup will be featured in two dedicated spaces --- the Future of Work Lab and the Talent Center with Jonas Prising, ManpowerGroup Chairman & CEO, addressing VivaTech's CEO Master Class. At the Future of Work Lab, ManpowerGroup will host more than 40 game-changing startups selected for their best-in-class tech innovations around attracting, hiring and upskilling talent. The ManpowerGroup-VivaTech 'Design the Future of HR' Challenge was launched in October 2018 to solve HR challenges - from using innovative solutions to tap human skills to leveraging AI for recruitment, screening and career coaching. To date, the HR Challenge has received more than 300 proposals from start-ups in 28 countries. At the Future of Work Lab visitors can also experience the latest HR innovations including chatbots and avatars, virtual reality upskilling and digital predictive performance tools as ManpowerGroup showcases how business can attract, retain and upskill talent in the future of work. 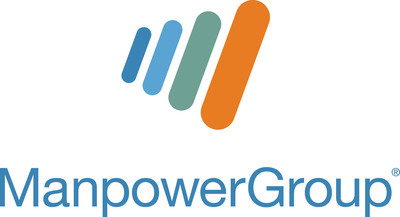 "Our role at ManpowerGroup is to support companies as they digitally transform to reflect the changes in their market and to develop people's employability," said Alain Roumilhac, President of ManpowerGroup France. "VivaTech is the perfect place for companies, startups and candidates to make connections and collaborate on industry-changing projects. That's why we're pleased to be joining other movers and shakers and showcasing our own innovations and talent-building tools for the fourth year in a row." ManpowerGroup will also host Talent Connect in partnership with VivaTech. This dedicated space and technology platform will match in-demand talent with open positions in the world's leading tech organizations. Companies and individuals will also meet on-site to design career paths and explore new opportunities of more than 1,000 job vacancies. In 2018, Talent Connect generated more than 3,000 applications in three days. Follow @ManpowerGroup at VivaTech on Twitter and join the conversation using #HRevolution #FutureofWork #VivaTech. For updates from ManpowerGroup at VivaTech, visit https://vivatechnology.com/partners/manpower-group/.